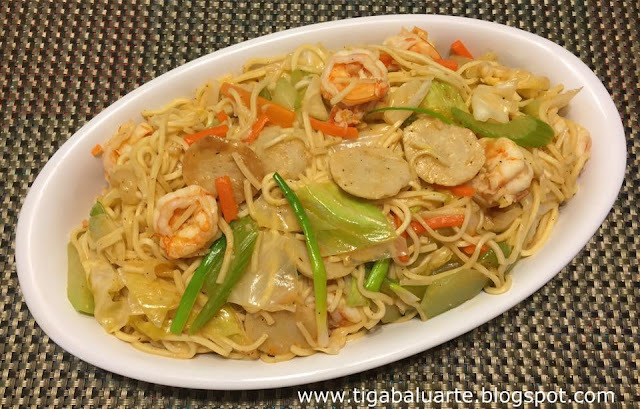 Pancit Canton is one of Filipinos favorite noodles. When shopping for Pancit Canton my choice is always Excellent brand from the Philippines. I find this brand better and easier to cook than the rest. 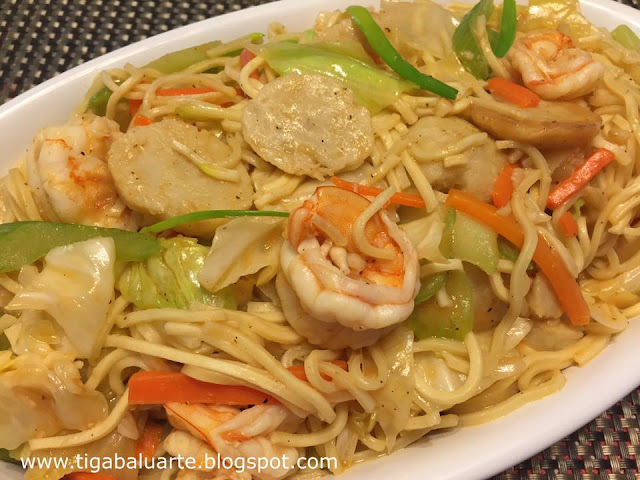 See below easy to follow simple Seafood Pancit Canton recipe. Using a wide pan heat cooking oil in medium heat . Saute garlic and onion till caramelized. Add slices of fish balls, stir for few minutes or till fish balls turns brownish. Add carrots and celery, stir for few minutes then add water. Bring into a quick boil then reduce heat to medium low. Once water starts to boil, add shrimp and stir. Simmer for few minutes or till shrimp turns pinkish. Season with ground pepper and salt. *remember most pancit canton are salty so make sure to easy on salt. You can always add more salt towards the end. Add pancit canton to the pan, mix well. Add cabbage, mix well. Season with sesame oil, mix well. Sesame oil gives that Chinese taste to the noodles. Mix well and reduce heat to low. Cover pan to allow the noodles to cook from the low heat and the steam. Simmer for 5 to 10 minutes or till noodles is fully cooked. Stir every few minutes to allow the noodles to cook evenly. Garnish with green onion, mix and serve hot with lemon wedges or kalamansi. Enjoy! 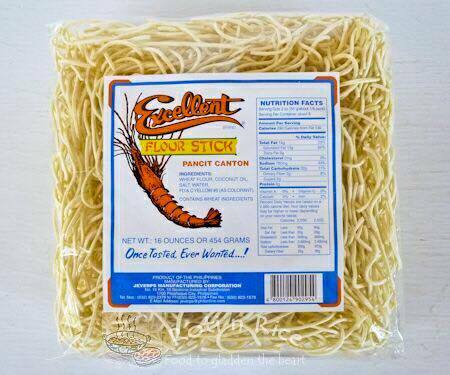 More Filipino Canton Noodles recipe? Choose from links below. See below picture of Excellent Brand Pancit Canton from the Philippines. It is few cents more compare to the other brand but it is worth it. It has that lighter taste and not salty compare to the other brand. NOTE: www.tigabaluarte.blogspot.com aka Casa Baluarte is not a paid advertiser of this brand.